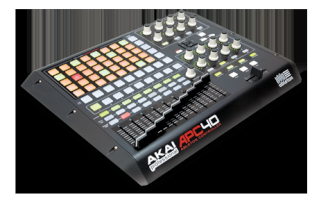 Hello, when I first started using my friends APC, we also used a 2-channel DJ mixer, just to give it another buffer of sorts. In other words, because digital clipping within the software seems to be different than actually clipping (I'm not sure of the correct terminology, sorry) we would see if its clipping on the mixer too, and adjust accordingly so that the signal we feed the PA is not too hot. This could have been totally unnecessary. Anyone have any thoughts? I would prefer not using an external mixer if I don't have to. Thanks in advance! I use a Denon DNX1500 and a Audio 8 Soundcard and I run the first four channels from Ableton into that. This gives me the Bass, Mid and Treble for each track and the associated effects that come with the mixer as well as having the effects of the APC40. The Denon is a solid bit of kit that I am use to and I also have my Technics through this so I can use digital and old school at the same time. Not really sure of there is any difference in clippling? I do now use the gains on the Denon though as I find it easier.